A Painting Today: "100 Faces, No. 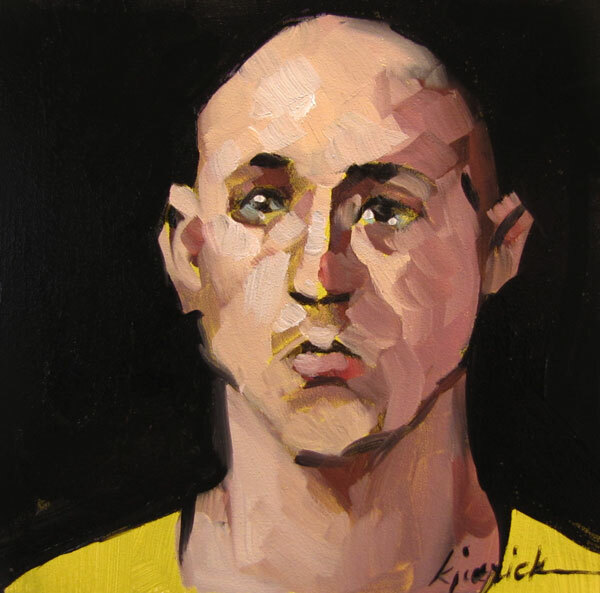 72"
Painted on a yellow ground color - and truly with minimum brush strokes. I could have continued, although I loved it as this modern, chiseled portrait - as is. Yep, I like how stingy you were w/ the brush strokes. It gives this portrait a unique, as you say, "modernist" sort of look. Glad you stopped. I like that graphic quality as well.